BOYNECLARKE LLP is pleased to announce and welcome Lauren M. Randall to the partnership, effective January 1, 2019. Lauren Randall is a member of our Real Estate and Estate Teams, focusing her practice on Residential Real Estate, Wills and Estate Planning, and the Probate and Administration of Estates. Lauren also has a focus on condominium law and is a member of the Canadian Condominium Institute. 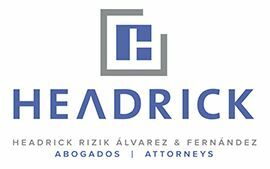 Headrick Rizik Alvarez & Fernandez is proud to announce their 4th recognition as Best Law Firm in the Dominican Republic by Chambers & Partners. Gbenga Biobaku of Gbenga Biobaku & Co. was featured in THISDAY's article announcing his appointment to the TAGLaw Advisory Board.